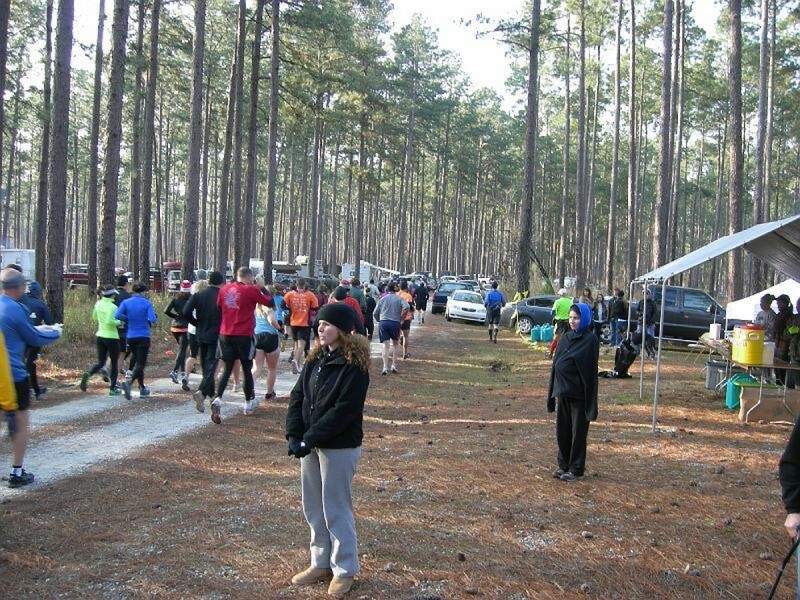 50M, 50K, and 20K in the Desoto National forest on gently rolling pine forest, mostly single track with some double track logging roads. Packet pickup, Prerace meal and Briefing at the Laurel Fairgrounds Friday night. Post race meal on-site at the start/finish line. Finisher mementos. Belt buckles to 50 Mile finishers.